Posted by Retired Geezer in Crime, Politics. They say this is a viral image that’s driving the internet crazy, so why should you guys be left out? 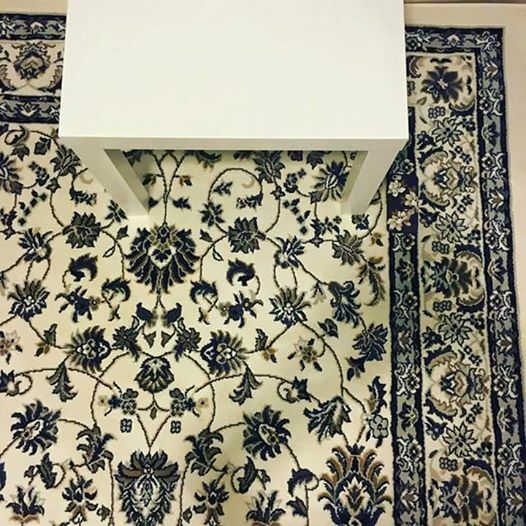 Here you go: spot the mobile phone in this image. I don’t know how we can live with ourselves, falling so badly behind the Japanese in hygiene and comfort products. And in particular, I don’t how we could have lived for so long without . 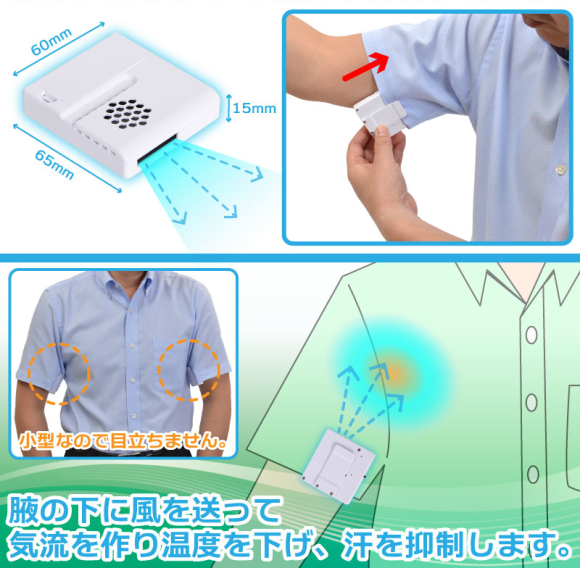 . . the Japanese Armpit Fan!! Although the picture on the lower right makes it look like it’s trying to cure cancer. If a better one comes along, let me know. It was a stupid promise for a president to make, but having made it, he totally owns this spectacular failure. Since it’s early in the month, I know you’re all itching for the latest employment and exports info. Well, you’ll have to wait until tomorrow for the employment update, but the exports data was released yesterday, so voila! You see that tall rainbow-colored bar at the January 2015 point? That’s what the president promised to do. And those depressing short grey bars? That’s what really happened. So we’re sucking some major wind, exports-wise. In the end, I think President Obama will have the worst exports growth performance of any president ever in the history of man on the planet (I’ll plot that up and see if it’s true). But if history serves, he’ll simply say that he did wonderful things with exports, and his fans will nod their heads in unison and call us racists. I’m not much for movie reviewing, but I got a chance to see it early and thought I’d pass on my opinion. On Tuesday night my daughter and I went to a preview show provided by Universal and the local newspaper. There were a lot of kids of course, but not as many as I thought since most of them were there from tickets they won from some radio station. We got to sit in the high end seats by ourselves. I felt like a celebrity. Anyway this is one of the few movies I really looked forward to seeing this summer. My daughter was pretty pumped about seeing it too. That might have been part of the problem because we both went home disappointed. The script is extremely uneven. While parts of it were absolutely hysterical, especially those involving Tiberius the hawk (or maybe he was a falcon) and Gidget the Pomeranian (who is overly trustful of the big bird surrounded by little skeletons), while the white rabbit called Snowball’s character was so grating I was hoping the obvious rabbit meets bird of prey scenario would happen. The rabbit is pushed as some kind of amazingly funny character in the commercials and he’s the most annoying character in the movie. Kids will like this movie. Judging by the response in our audience they might love this movie. The rest of us will probably start checking our watches around the 1 hour mark. I normally enjoy animated movies. I really liked Zootopia and even Frozen when I finally got around to seeing it. I could see watching those again willingly, but I can’t imagine ever being so bored that I’d sit through another showing of TSLoP again. I give it a 6 out of 10. Most of the good parts were pretty funny, there’s a great idea involving what happens to abandoned pets that I felt like they mishandled (mostly) and there’s a lot of annoying bunny having a tantrum scenes that got old really fast. We live in the closest suburb to Oklahoma City that has legal fireworks sales so everybody comes here to celebrate. It’s like a war zone outside when this picture was taken. She’s not impressed. So here’s the Slow Mo Guys, smashing open spraypaint cans in super slow motion because they can (and because they’re really cool). Obviously that’s just pure awesome. But here’s my question. If you go to 1:40, Dan shoots a red spraypaint can with a pellet gun, and you can see (very clearly, if you pause at the 1:43 mark) that the paint is not coming out uniformly, but rather in a wave pattern. That’s my physics question – what causes the wave-like nature of the spray, rather than a more uniform effect? My first thought, when I watched some of the other explosions, was that the paint is affected by Brownian motion, but that wouldn’t explain wave patterns. The next thing I thought was this reminded me of an astrophysicist’s explanation for the arms of a spiral galaxy. The arms are kept separate by pressure waves. I assume there are pressure waves involved here, but I can’t think of what the source would be, either in the case of the paint or the galaxy. Posted by Retired Geezer in Heroes, History. Clever and funny video. Made me smile. Matt Imhof, proof that not all millennials are pussies. No, I’m not some kind of sick, sadistic creep that feels good about this young man getting hurt. The feel good story is his attitude about his injury. When most people would probably feel pretty depressed about the disaster life just handed them, he comes across as genuinely grateful for his current situation. Clearly he’s not happy about being blind in one eye, but he’s thankful for not being blind in both eyes and he’s thankful that he didn’t suffer brain damage like Harry Reid. “Although this injury has been tough, it could have been much worse. I’m lucky to still have vision in my left eye. I’m lucky that I didn’t have brain damage. And I’m lucky to be surrounded my the most loving and understanding people in the world,” Imhof wrote. OK, maybe I added that Harry Reid part in there about being brain damaged. Reid was brain damaged long before his accident.